Commonly known as progressive additional lenses (PAL), progressive lenses are an important part of reading prescription eyeglasses. These special glasses have got fame because of the unrivaled attribute of progressive lenses. some time, progressive lenses are also known as graduate lenses, multifocal lenses, no-line bifocal lenses, and progressive power lenses. These variants show some additional features of progressive glasses. For example, the name with progressive power lenses, multifocal, and graduate lenses show that these lenses have lens power that increases gradually. They are helping the wearers to correct their refractive errors. Such gradually increase the power starts with the minimum range from the top of the safety eyewear glasses lens. And end at the additional power on the bottom of the lens. Generally, the length of gradient power on lens usually extend from 15 to 22 mm. The additional power of the lens usually remains between 1.00 to 0.25 diopters. Besides this, no-line bifocals or progressive lenses have superior quality features than bifocal lenses. in this situation, reading glasses with progressive lenses also name as no line bifocal reading glasses. Evidence indicates that first progressive lenses were established by Duke-Elder in 1922. Those lenses were firstly prepared on aspheric surfaces. Latest design progressive lenses were established by Bernard Maitenaz and Patented in 1953 after the innovation of Varilux lens. It is comprehensible, those progressive safety optical glasses lens had comparatively unfinished design and workmanship. But current progressive lenses are more developed and they have got greater users acceptance. Generally, it has three vision zones like near vision, intermediate vision, and distance vision zones. The near zone usually sits in the bottom of the lens and distance portion lies on the top of the lenses. 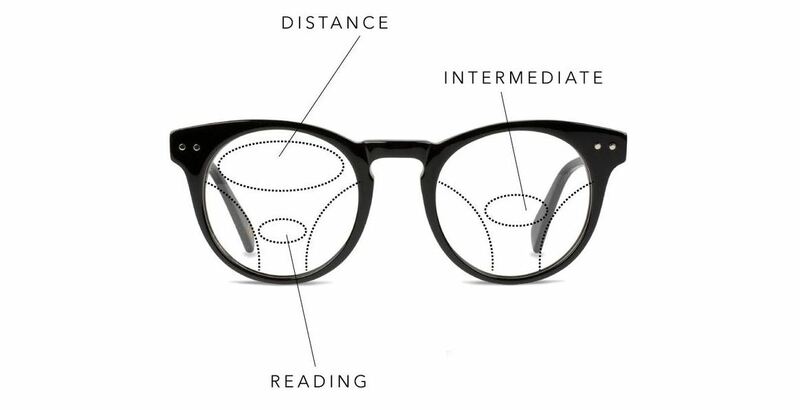 The intermediate distance lies in the middle portion of the progressive lenses. The latest advancement in technologies has developed numerous variations in basic progressive design. For example, RX safety glasses with progressive lenses can use for a computer as well. Furthermore, these lenses can design for enlarged near or for distance portion. These modified progressive lenses are doing great help for individual use for particular jobs. The manufacturers used developed technologies and are trying to reduce unwanted aberrations on progressive lenses. They are trying to enhance modeling of the lens surface and conduct trials for wearers. Moreover, computer organized machines are applied to cut the complicated surface of progressive lenses. For further detail, feel free to read below articles. With the help of progressive lenses, you don’t need to have more than one pair of prescription safety glasses. You don’t need to switch your reading to standard glasses. With these lenses, you can see a natural view. In case of switching from close to far distances, you don’t need to jump like bifocal or trifocal lenses. While driving, you can easily switch to see from the dashboard to at the road or even at sign but with a smooth transition. Access your favorite pair of eyewear on www.eyeweb.com. Progressive lenses take some time to adjust. You need to practice yourself to look out from the lower part of lenses for reading. For looking at distance, use lower part and between the distance, use the middle part of the lens. In some cases, people don’t adjust with these lenses and some adjust very quickly. During practice periods, you can feel dizzy and nausea due to looking through the wrong section of the power of lenses. you can feel some distortion in your peripheral vision.